A place to grow spiritually, find meaning, make connections…. This is CEEW. We are a warm and welcoming congregation in Lake Country. We honor the traditions, practices, and rituals of our ancient faith while embracing creativity and energy that speaks to Jewish life in the 21st century. Our members include Jews by birth, Jews by choice, and interfaith families. Our members are single, married, and empty nesters. We’re welcoming to Jews of Color, LGBTQ and people with disabilities. Some of us grew up in traditional households; others with little Jewish knowledge. We love to gather and to learn. Through education, worship, and social action programs members find many opportunities to express their Jewish identity and explore spirituality. 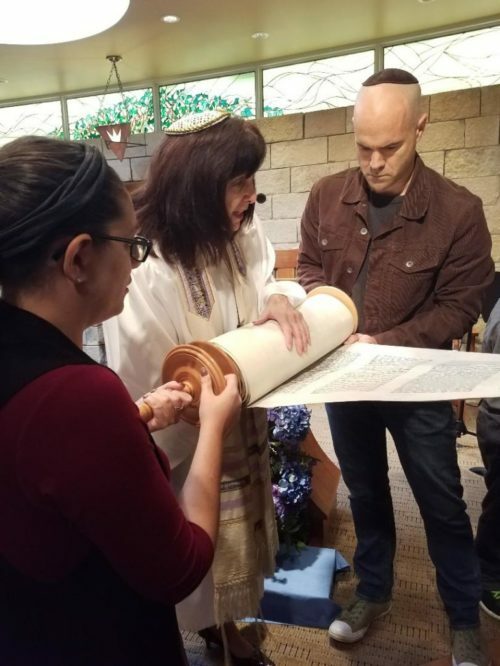 As the only synagogue between Milwaukee and Madison, we provide a comfortable atmosphere for adults and children to relax and express their Jewishness in a majority non-Jewish culture. Children are welcome at all services. Congregation Emanu-El of Waukesha welcomes interfaith couples to find a spiritual connection in our community. Interfaith issues impact entire families. We understand that members of interfaith families face challenges posed by differing religions and cultures. The most important thing to remember is that you are not alone. We are here to serve as a resource for you, and as a place to meet other interfaith families. Non-Jewish partners and family members are included and valued at CEEW. Jews of Color and LBGTQ Jews have a place at Congregation Emanu-El of Waukesha. We have a long history of inclusion with people of all backgrounds. No matter how you came to Judaism — growing up Jewish, conversion, or still questioning and learning — we strive to be your spiritual home.